Thread: New Truck...Bedrug or Line-X? Diamondback Tonneau Cover? Black Line-X doesn't get hot in the sun, Rhino lining does. Seriously, the black paint of my truck is too hot to touch on a summer day but the lining is no problem at all. 2000 chevy with Line-X, been very durable with just minor scratches from extremely heavy stuff drug across it. I would do the Line-X again. Most creative Line-X application I saw was on a racing Kart body panels when I used to race, great application for it there and it matched the rest of his KArt as it was tinted green when applied. I've always had spray-in bed liners in my trucks. But, I now have a bed rug in my F-250. I like it though I wouldn't say it's better/worse than a spray liner. I was concerned about sliding heavy items in and out of the bed with the rug but that's turned out to be a non-issue. It's very soft and we've even slept on it during a camping trip. It's only been in the truck for about 8 months so I'm not sure how well it will hold up over time. Line-X in every truck we have. How was I unaware about Line-X not retaining heat?! Maybe I just plumb forgot. Thanks for the reminder! Any recommendations for a good local Line-X company? Denver metro area? I've had a truck done there and was very satisfied. I'm going the DIY route on mine. Getting Raptor Liner to spray on the rocker panels to address some rock chips. I Raptor lined a friends Jeep 6 years ago. He has taken it through oak brush and off roaded a lot while hunting. It still looks like new, including being shiny as the day it was sprayed. It is all in the prep. It covered all the rock chips nicely. Bed rug is fine as long you as you have a topper. I went with line X on my truck, had them do the wheel wheels and rocker panels. Would do it to a new truck when I get one. I will take the low tech rubber mat any day of the week. 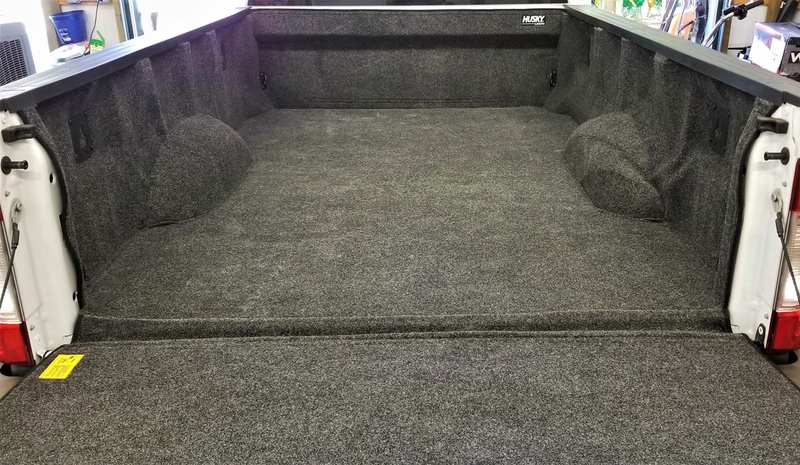 I have seen too many spray in bedliners that started to peel and held moisture . My "Over the Rail" Line-X has been in since July 2004. Zero issues not self induced. Like has been said, it's all (or mostly) in the prep. Proper application is also important.